Two Nigerian central midfielders have been backed to be nominated for the PFA Young Player of the Year on the back of their impressive performances for their Premier League teams. Top Rated Young Player of the Year candidates. While the Nigeria international is number six on the list with a rating of 7.15, Denmark U21 star Billing has a 7.19 rating and is the fourth best youngest in England as at February 6, 2019. 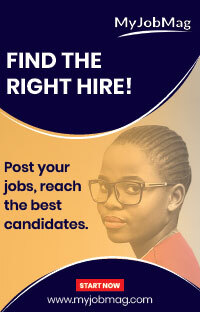 Aleksandar Mitrovic (Fulham), Bernardo Silva (Man City), James Maddison (Leicester) and Marcus Rashford (Manchester United) ranked lower than the two Nigeria-eligible players. 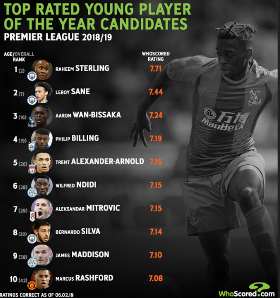 Raheem Sterling is being tipped to win the award ahead of his Manchester City teammate Leroy Sane and Crystal Palace exciting fullback Aaron Wan-Bissaka in that order; Liverpool's Trent Alexander-Arnold completes the top five rated players. Ndidi has appeared in 25 matches in this season's Premier League, scoring two goals, while Billing has played 22 games and netted the same number of goals.